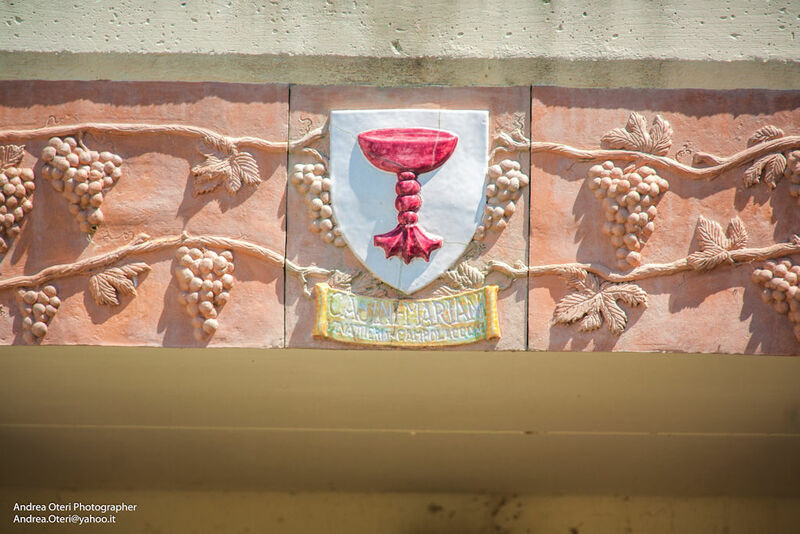 La Pausa wine is produced only when nature permits. As its name suggests, it is a meditation wine that is not afraid, however , of the approach to all the traditional Tuscan food, finding his perfect match in the fiorentina steak. Density of the vines: 6,000 plants per hectare. With two selections of grapes, veraison and at the end of August, the production of grapes is increased to about 60 quintals per hectare. Vinification: The first day of fermentation in stainless steel tanks, the juice is subjected to a drain of about 10%. During alcoholic fermentation, in the first ten days four delestage are made at least. Two going back up at least a day. After drawing off, (only the natural drainage of the pomace without pressing is added to the flower), the wine is again racked into stainless steel tanks so you can easily perform the racking, the first of which after about two days and half. Aging: After the malolactic fermentation, 50% of 5.5 quintals is put into casks of new French oak of medium toasting and the other 50% in woods which have had multiple steps; it remains there for a year; during this time, every container is opened and filled once a week. Then back to the steel to be settled, and after a light filtration, bottled. 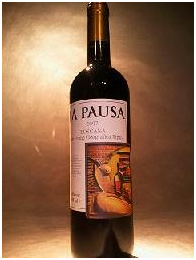 Refinement: La Pausa stays in the cellar for eight months; other important refinements in the bottle. Grapes: 80% Sangiovese; 10% Colorino Valdarno; 10% Pugnitello. 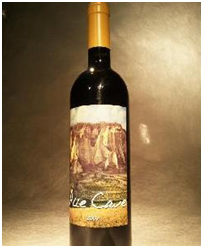 Alle Cave wine comes from the same vineyards of La Pausa in the years that this is not producted. This circumstance forces us to focus and to work harder to offer the product with the best features in those years when nature did not want to facilitate our task. The procedure is integrated according to philosophy of the label alternative. With two selections of grapes, veraison and at the end of August, the production of grapes is increased to about 60 quintalls per hectare. Vinification: The first day of fermentation in stainless steel vats, the juice is subjected to a drain of about 10%. During alcoholic fermentation, in the first ten days at least four delestage will be made. At least two going back up a day. After drawing off, (only the natural drainage of the pomace without pressing is added to the flower), the wine is again racked into stainless steel tanks, so you can easily perform the racking, the first of which after about two days and half. Aging: After the malolactic fermentation, 50% of 5,5 quintalls is put into French oak tonneau, and the other 50% into casks of medium toasting two years old, the other 50% in the woods who have had multiple steps; it remains there for a year; during this time, every container is opened and filled once a week. Then back to the steel to be settled, and after a light filtration, bottled. Refinement: Alle Cave remains in the cellar for eight months; other important refinements in the bottle. 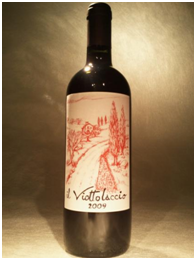 Il Viottolaccio wine is our easiest-drinking wine. In the vineyard the grapes are quickly discovered by the leaves to take more sun, but also to dry more easily in case of rain. Density of the vines: 4,500 plants per hectare. With the selection of veraison grapes, grape production is increased to about 70 quintalls per hectare. Vinification: During the alcoholic fermentation in steel tanks, in the first ten days are taken at least two daily delestage addition to the two going back up. Aging: After drawing off, the racking and malolactic fermentation, aged in steel. Refinement: Il Viottolaccio is bottled with a light filtration and subjected to about six months of aging. Grapes: 85% Sangiovese; 10% Malvasia; 5% Trebbiano.